The history of the making of printable duplicates of wood-blocks, a process that has gone under these names and some others, has been an ongoing interest of mine. There is a literature of the subject, but it is harder to find than you might think. Joseph Moxon, whose manual of printing and typefounding of 1683 is very comprehensive, must have known that cast copies were made in order to replicate headpieces and ornamented initial letters, but he does not mention them, perhaps because woodcuts had gone out of fashion. The earliest manuals appear in 18th-century Germany. The most important of these is a little book that was printed, published and probably written by Johann Michael Funcke, Kurtze Anleitung von Form- und Stahlschneiden (Erfurt, 1740). It is an account of several trades related to printing, such as wood-engraving (of which it is the first published manual), punchcutting (the first account in German) and the various ways of making copies of wood-blocks in typemetal. It is known that sand casting was used by the workmen of Christophe Plantin in Antwerp for making big types from wooden pattern letters. Plaster was used for finer work, and there are instructions in a German text of the late 17th century for using a mould of papier mâché to make stereotype plates of whole pages, something that was not commonly done until the 19th century. Funcke was the first to describe the method that was later called abklatschen in German. The wood block was held above a shallow pool of typemetal until it had almost solidified, then pressed suddenly into it, creating a sharp impression in a thin typemetal plate. This plate served as a matrix. It was cleaned up and the process was repeated, creating a relief plate which was a duplicate of the original block. It was clearly a tricky process which could easily go wrong, but from the 1780s its products entered the printing trade quite widely. 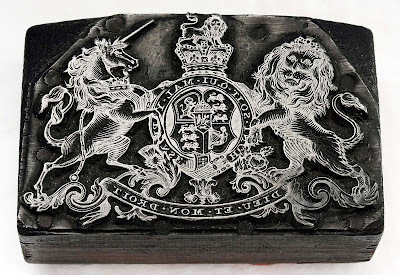 English typefounders began to sell duplicates of woodcuts as 'cast ornaments' and in the trade the process was known as 'dabbing' and the product was a 'dab' (a term that is almost extinct, but see the Oxford English Dictionary). In France they were known as polytypes or clichés, a word that entered both French and English as a metaphor for an expression repeated unthinkingly. I put most of what I know about this process into a reprint of Funcke's little book, which was published in 1998 in the series of facsimiles of printing manuals edited by Martin Boghardt, Frans Janssen and Walter Wilkes and printed by Walter Wilkes at the Technische Universität, Darmstadt. For those who are interested, the simplest way of getting hold of this and other titles in the series is to order them from the book dealer S. P. Tuohy, who has a small stock (45 Warwick Street, Oxford OX4 1SZ, UK, tel +44 1865 723 566). To anyone interested in historical studies relating to books this process raises some interesting questions. 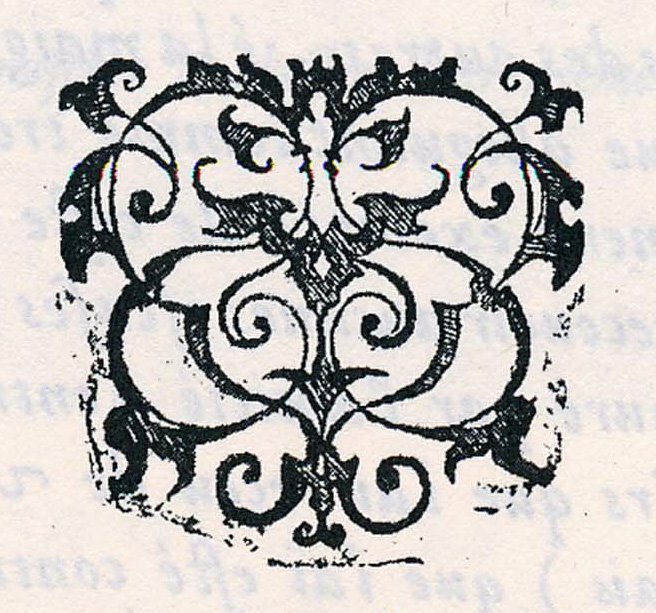 Bibliographers would like to believe that woodcut ornaments and initials are unique, and that they can reveal the identity of the printer in whose work they appear. But since they could be duplicated, this is not a safe assumption. One wonders how widespread the practice was. 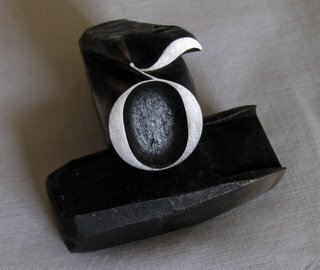 If the same ornament or initial is found at the same date in the work of printers far distant from each other, this suggests strongly that one or other of them is a cast duplicate, or that both are. There are examples of the use of identical initials in widely-separated printing offices in Italian printing of the 1480s. Can one tell by looking at its impression whether a block is a duplicate? Poor quality is not a reliable guide, since many wood blocks were used until they became badly worn. The best cast duplicates are as sharp as the original block. But a wood block is normally cut away steeply so that its edges do not pick up ink. The 'dab' is a thin plate which must be mounted with nails on a block of wood to bring it up to the level of the type, and the trimmed edges of the plate can pick up ink and leave a tell-tale impression. Sometimes the nail heads also print. 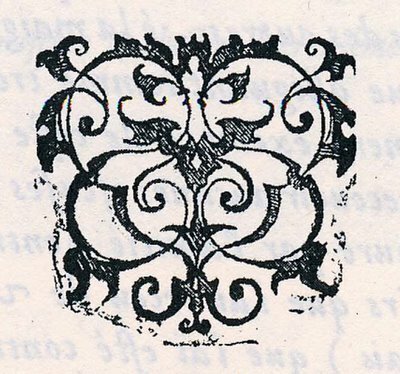 Several examples of what appear to be tell-tale edges of dabs have been found in English and French printing of the early 18th century. But the process clearly had a far longer history. The example above is from a French book of 1558, the Histoire entière des poissons of Guillaume Rondelet, printed at Lyon by Macé Bonhomme. I owe news of it and the image I show here to Ms Vanessa Selbach, to whom I am most grateful. I had suspected that there must be other accounts of the early use of this technique in Germany, but was not able to find them until I was in contact with Dr Wolfgang Schellmann, who was preparing an article on a remarkable collection of blocks made as Bible illustrations which survive at Lüneburg, and who lists several additional references in his text: ‘Ein Fall von Klischeeverwendung vom 16. bis 18. Jahrhundert im Bibeldruck’, Archiv für Geschichte des Buchwesens, Band 65 (2010), pp. 157–171. Baskerville’s French Cannon roman. Punches at the University Library, Cambridge. Parish records show that John Baskerville was baptized on 28 January 1706. But at that time 1706 went on until March. We call this date 28 January 1707. Celebrate the Baskerville tercentenary in 2007. G. F. Cresci, Essemplare di più sorti lettere, Rome, 1560. For more on Cresci see Typography papers, 6, published by Hyphen Press, London, for the Department of Typography & Graphic Communication at the University of Reading. 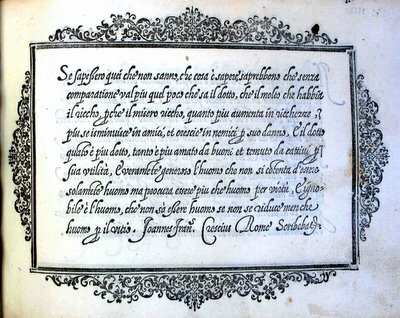 This aims to be a list of the names of all the calligraphic writers, mostly professionals, working in Italy between 1501 and 1700, whose names have been recorded. Places of origin and of work and dates of birth and death or of professional activity (fl) appear in parentheses thus: (Bologna, Roma fl 1560–85). The principal sources listed as References at the end are in square brackets, thus: [Johnson]. Alternative spellings of names are separated thus: Badesio / Badessi / Badeschi. The letter M and a date indicates a printed manual. The image above is from an unsigned manuscript of about 1580 in the possession of Nicolas Barker, who kindly let me photograph it. Bruni, Lucantonio (brother of Nicola) [Marzoli, p.
Bruni, Nicola padre da San Severino [Marzoli, p.
Moro / Poliviani, Francesco (Padova) [Johnson, p.
Rogni [Calligraphy teacher of Giovanna Garzoni. Scrittura e civiltà, vol. 13 (1989), pp. 489–534. civiltà, vol. 16 (1992), pp. 265–303. Ascoli, Francesco, 'I manuali del seicento', La Operina, 19 (2001), pp. 3–23. Becker, David P. The practice of letters: the Hofer Collection of writing manuals 1514–1800 (Cambridge, Massachusetts: Houghton Library, 1997). l'arte maggiore, e minore dello scrivere (Milan, 1622). List of his pupils, cap. XII, pp. 91–2. Morison (Milan: La Bibliofila, 1962). teenth century Italian writing-books', pp. 159–62. qui composent les diverses Ecritures', in J. H. P.
l'usage de tous les artistes (Paris, 1767), pp. xlix–cxiv. for Ruano and Cresci', Signature, n.s. 5 (1948), pp. Wardrop, James, ‘A note on Giovantonio Tagliente’, Signature, n.s 8 (1949), pp. 57–61. Wardrop, James, ‘Civis Romanus sum: Giovanbattista Palatino and his circle’, Signature, n.s 14 (1952), pp. 3–39. The punches of the 38 pt size of the romain du roi. Imprimerie nationale, Atelier du livre d’art et de l’estampe, Ivry sur Seine. From the exhibition catalogue Le romain du roi: la typographie au service de l'état, Lyon, Musée de l'imprimerie, 2002. I have listed here all the significant surviving collections that are known to me of hand-cut punches, matrices, and other materials relating to the making of printing types, including archives and type specimens. The names are included of some foundries or institutions which are no longer active, with a note on the location of their surviving materials, so far as they are known: their names are preceded by this sign ¶. The most extensive collections of punches and matrices are distinguished by an asterisk *. The information gathered here is from my own knowledge and the reports of others as well as the printed sources that are cited. I have done my best to ensure that it is accurate and up to date, but additions and corrections will be welcome. A revised version appears in Printing History, new series no. 4 (July 2008), pages 13–37, the journal of the American Printing History Association. The house and printing-office of Christophe Plantin (died 1589) and his successors became a museum in 1876. The collection of typefounding materials comprises 4,477 punches, 15,825 justified matrices and 4,681 strikes. Among the punchcutters whose work is represented are Claude Garamont, Robert Granjon, François Guyot, Pierre Haultin, Ameet Tavernier, Guillaume I Le Bé, Hendrik van den Keere and J. M. Schmidt. There are 62 moulds from the original collection; another 200 were added in 1956 from the Van der Borght foundry of Brussels. An English-made pivotal caster was acquired for casting new type. The punches and matrices were sorted and catalogued in 1954 and succeeding years. Inventory of the Plantin-Moretus Museum punches and matrices (1960). Compiled by Mike Parker and K. Melis. Mike Parker, K. Melis and H. D. L. Vervliet, ‘Early inventories of punches, matrices, and moulds, in the Plantin-Moretus archives’, De gulden passer, 38. jaargang (1960), pp. 1–139. Index characterum Architypographiae Plantinianae: proeven der letter soorten gebruikt in de Plantijnsche drukkerij (1905). A specimen printed from early types preserved in the museum. L. Voet, The Golden Compasses: a history and evaluation of the printing and publishing activities of the Officina Plantiniana at Antwerp (Amsterdam, 1969–74). Mike Parker, ‘Early typefounders’ moulds at the Plantin-Moretus Museum’, The Library, 5th series, vol. 29 (1974), pp. 93–102). John A. Lane, Early type specimens in the Plantin-Moretus Museum: annotated descriptions of the specimens to ca. 1850 (mostly from the Low Countries and France) with preliminary notes on the typefoundries and printing-offices (New Castle: Oak Knoll Press, and London: British Library, 2004). Among the documents relating to typefounding in the national archives are several notarial inventories of the stock of typefoundries, including two for the Le Bé foundry, c. 1620 and 1685 (Minutier Central des Notaires, Étude LXV, 229, and Étude LXX, 182) and the record of the contents of the domi­cile of P. S. Fournier le jeune, including the foundry, 1768 (LXIV, 400). AJ18 is a series of docu­ments relating to the Imprimerie Nationale, including records from the Imprimerie Royale of payments made to its appointed punchcutters, the graveurs du roi, 1693–1789. See Jeanne Veyrin-Forrer, ‘Aperçu sur la fonderie typographique parisienne au XVIIIe siècle’, The Library, 5th series, vol. 24 (1969), pp. 199–218. Louis Jou (born Barcelona 1881, died 1968) worked as a wood engraver in Paris and set up his own press. He produced types to his own designs with assistance from other engravers, and had them cast in Barcelona. Punches for his later types were cut by Charles Malin. Jou moved to Les Baux in 1940. The Fondation Louis Jou was created in 1976 to maintain his workshop, which houses his punches, matrices and type, as a meeting place for engravers and printers. ‘Louis Jou’, special issue of Tramontane, revue mensuelle du Rousillon, nos. 436–8 (1960). André Feuille, Louis Jou: biobibliographie (Bordeaux, 1984). Shortly before the typefoundry Deberny & Peignot ceased production in 1975 a collection of their business records, type specimens and other related material was donated to this library by Charles Peignot and by the Librairie Paul Jammes. In February 2005 Jean-Luc Froissart donated the archival material on which he based the book about the Peignot family that he published in 2004. ‘Le Don Charles Peignot’, Bulletin de la Société des Amis de la Bibliothèque Forney, no. 50 (1976), pp. 1–35. Jean-Luc Froissart, L’or, l’âme et les cendres du plomb: l’épopée des Peignot 1815–1983 (Paris: chez l’auteur, 2004). The Réserve of the department of printed books at the Site François-Mitterand (Tolbiac) has one of the most important collections of French type specimens. The ‘Collection Anisson’ (see below) is in the department of manuscripts at the Site Richelieu, For references to many of these materials and to material in the Archives nationales, see Jeanne Veyrin-Forrer, ‘Aperçu sur la fonderie typographique parisienne au XVIIIe siècle’, The Library, 5th series, vol. 24 (1969), pp. 199–218. For the contents of the ‘Collection Anisson’ (MSS. fr. 22061–22193, etc. ), a large part of which was assembled by Joseph d’Hémery (1722–1806), Inspecteur de la Librairie, which contains many documents relating to the history of typefound­ing and also type specimens, see Ernest Coyecque, Inventaire de la Collection Anisson sur l’histoire de l’imprimerie et de la librairie, principalement à Paris (Paris, 1900). A collection of early types was found on the bed of the Saône at Lyon in 1868. Most of these types (222 sorts) were originally deposited in the department of printed books of the Bibliothèque Nationale, transferred to the Musée de l’imprimerie, Lyon, in 1964, and reclaimed by the Bibliothèque nationale de France in 2002. Maurice Audin, Les types lyonnais primitifs conservés au Départment des Imprimés (Legs Seymour de Ricci) (Paris, 1955). The Imprimerie nationale, established as the Imprimerie Royale at the Louvre in 1640, maintained a typefoundry of its own. New premises built for its operation in about 1910 in the Rue de la Convention, 15th arrondissement, were sold and vacated in 2005. The materials of the Cabinet des Poinçons, a large part of the Library (with the exception of some publications taken to the main factory of the Imprimerie nationale at Douai), the stock for type for hand setting and the equipment for typefounding, and letterpress, lithographic and intaglio printing, forming what is currently known as the ‘Atelier du livre d’art et de l’estampe’, are all housed in leased industrial premises at Ivry sur Seine to the south-east of Paris. The earlier materials include punches by Claude Garamont for the grecs du roi (1543–50), matrices for three sizes of roman and italic types known as the caractères de l’univer­sité, which were bought from Jean Jannon in 1641, punches and matrices for the romain du roi made by the graveurs du roi, Philippe Grandjean, Jean Alexandre and Louis Luce, between 1696 and 1750, and for the later official roman and italic types cut by Firmin Didot and Marcellin Legrand. It possesses one of the largest extant collections of punches and matrices for non-Latin types, some of which were struck from punches seized from the oriental collections in Rome and Florence in 1798 and 1811; many others were added during the 19th century. The Cabinet des Poinçons was reorganized after the Second World War. The last complete type cut by hand was Le Gauthier, the work of Louis Gauthier (died 1992). His successors were Jacques Camus and Jean Portron, both of whom died early in 2005. Madame Nelly Gable, punchcutter in the Cabinet des Poinçons has responsibility for its organization (her colleague Christian Paput having taken early retirement in August 2005), and supervised its removal to Ivry. Some punches from Deberny & Peignot were deposited after the foundry closed in 1975, and more sets of punches from the same foundry were brought back to France from the Haas’sche Schriftgiesserei in August 1989. The total number of punches in the collection is estimated at between 300,000 and 500,000. An inventory of typefounding and printing materials was drawn up in 1691 when Jean Anisson (died 1721) was appointed director (BnF MS. Nouv. acq. fr. 2511). Inventories of the oriental and greek punches and matrices were made in 1787 (BnF MSS. Nouv. acq. fr. 141, 142). Type specimen books were produced in 1760, 1810, 1819, 1845, 1878, etc. Oriental types were shown in detail in Le Cabinet des poin­çons (1948, 3rd ed. 1963). The most recent specimen of types is Les caractères de l’Imprimerie nationale (Paris, 1990). See also the exhibition catalogue Le romain du roi: la typographie au service de l’état (Lyon: Musée de l’imprimerie, 2002). For a summary of early specimens and inventories see James Mosley, ‘The Type specimens of the Imprimerie royale 1643–1828’, Bulletin du bibliophile, 1, 2002, pp. 70‑99. A paper mill in which demonstrations of hand paper-making are given. The collection of artifacts includes nineteenth-century punches and matrices from the Parisian printing firm Lahure, of which there are about fifty drawers, some of which are on exhibition. The museum was established in 1964. It has some typefounding materials, including punches by Vibert. A hand-mould for demonstrating typefounding was made for it by Stan Nelson. There is an important collection of type specimens, mostly from the personal collection of Marius Audin, whose library was acquired by the museum. Materials from the Fonderie Caslon, Paris, were transferred in 1995 to this museum of printing, which was established in 1986. The older matrices of the Fonderie Caslon, including all sizes of Caslon Old Face in its late 19th-century form, came from the Paris branch of H. W. Caslon & Co. Radiguer, former manager of the branch, had a foundry under his own name and acted as agent for types from the Caslon foundry. This arrangement was formalised in 1939 after the closure of the Caslon foundry in London by an agreement between Radiguer & Cie, Caslon Machinery Ltd, and Caslon, Chitson Co. During the Second World War the premises were bombed, and the Fonderie Caslon, having absorbed the foundries of Ruffin, Calenquin (which made only spacing materials), Ollière, Warnery and Ribaudeau-Dumas, moved to the building of the last of these in Rue Abbé Carton, Paris 14e. Type was last cast in May 1993. In 1858 Hermann Berthold (died 1904) established an electrotyping plant in Berlin, to which he added a typefoundry. Branches of the typefoundry were created through the purchase of existing foundries in Stuttgart (Bauer & Co, 1897), St Petersburg (Georg Ross & Co, 1900), Vienna (J. H. Rust & Co, 1905) and Prague (A. Haase, 1907). Two Berlin typefoundries were also acquired: Gustav Reinhold (who had purchased the foundry of Emil Berger, Leipzig, 1893) and Friedrich Theinhardt (1908). A Leipzig branch was created in 1918 with the purchase of the Leipzig foundries of Gottfried Böttger, F. A. Brockhaus, C. F. Rühl and also A. Kahle, Weimar, to which were added Julius Klinkhardt (1920) and C. Kloburg (1922). These branches were later given up or taken over and in February 1945 some material was lost when the Berlin foundry was bombed. It was rebuilt after the Second World War and a new branch was created in Stuttgart. Many punches and matrices, together with patterns, matrix-making and typecasting machinery, were stored in the former premises of the foundry in Berlin after typecasting ceased in 1978. The casting of some current Berthold types from their original matrices was continued by Johannes Wagner, Ingolstadt. It is reported by word of mouth that some of the Berthold punches and matrices have been bought by a private individual and moved to Bavaria. Information regarding the reliability of this report will be welcome. See the entry for the Deutsches Technikmuseum, Berlin. Das Haus Berthold 1858–1921 (Berlin, 1921); 100 Jahre Berthold: Festschrift zum einhundertjährigen Jubiläum der H. Berthold Messinglinienfabrik und Schriftgiesserei AG (Berlin, 1958). Hanno Möbius, Vierhundert Jahre technische Samm­lungen in Berlin (Berlin, 1983), p. 148. This museum, which opened in 1983 in the former Anhalt railway station, had in 1988 (and perhaps still has) an exhibit devoted to printing and typefounding. There are typefounders’ tools, an early typecasting machine (about 1880), and a dressing bench. The display includes a cupboard for punches, with contents, from the former Reichs­druckerei. The museum had an interest in the punches and matrices of H. Berthold AG. but its holdings from Berthold appear to be limited to materials for photocomposition. Eckehart SchumacherGebler, typesetter in Munich, transferred most of his letterpress materials to Leipzig, where he purchased the printing establishment Andersen Nexö in about 1990 and restored its old name of Haag-Drugulin. His extensive collection of Monotype matrices was acquired from the printing office of the Monotype Corporation, Salfords, and from the company’s Frankfurt branch. The museum has punches and matrices for founders’ types from various sources, a total of about 30 tons in weight. There are also materials from the former Reichs­druckerei, Berlin, including matrices for a small 16th-century Fraktur type, probably cut by Jacob Sabon before 1575, which appears at the foot of the specimen sheet of the Berner foundry, Frankfurt am Main, 1592, and for roman and italic types by Joseph Gillé in the style of Fournier le jeune, from the foundry of Georg Jakob Decker, established 1767. The collection also includes materials from Schriftgiesserei Flinsch, Frankfurt am Main; Benjamin Krebs Nachfolger, Frankfurt am Main; Ludwig & Mayer, Frankfurt am Main; Bauer, Frankfurt am Main; Typoart (Leipzig & Dresden); Otto Weisert, Stuttgart; J. Ch. Zanker, Nürnberg. Manfred Sack, ‘Nonnenstrasse 38’, Die Zeit, no. 30, 19 Jul 1996, p. 34. Helfen Sie uns, das Museum für Druckkunst in Leipzig auszubauen: ein Aufruf der Gesellschaft zur Förderung der Druckkunst (Leipzig, ). The museum has the tools of August Rosenberger (1893–1980), punchcutter at D. Stempel AG, 1927–63. Its library has type specimens, some of which are from the Mori Collection (see Stadt- und Universitätsbibliothek, Frankfurt am Main), and it has Gustav Mori’s own working library. Working demonstrations of typecasting are given. Contains the Museum und Werkstätten für Schriftguss - Satz - Druckverfahren, Kirschenallee 88, 64293 Darmstadt. Tel (61 51) 89 91 76. An industrial museum, opened in December 1996. It has the punches, matrices, patterns, casting machines and archives of the typefoundry D. Stempel AG, Frankfurt am Main (established 1895). When the foundry ceased production of type in 1986, some machinery and the matrices and other materials, including specimens and business correspondence, were all moved temporarily to the Technische Hochschule Darmstadt, and then to this location. Type is cast at the museum by Rainer Gerstenberg, a former member of the Stempel foundry staff, under the name of Schriften-Service D. Stempel, using Stempel matrices and others from the Fruttiger, formerly the Haas’sche typefoundry, Basel. The Stempel foundry had acquired the materials of older foundries, notably the stock of the Leipzig printer and typefounder W. Drugulin in 1919, which possessed matrices for the so-called ‘Janson’ roman and italic types now attributed to Miklós Kis, and for numerous non-Latin types. Vom Schriftgiessen: Porträt der Firma D. Stempel, Frankfurt am Main, fotografiert von Ronald Schmets (Darmstadt, 1987). Die Werkstätten für Schriftguss, Satz und Druck im Haus für Industriekultur, Darmstadt. Zwischenbericht Juni 1995 (Darmstadt, 1995). Established in 1953. The basis of the collection is the library of Karl Klingspor (1868–1950), owner of the Klingspor foundry in Offenbach. There are collections of work, including designs for type, by Rudolf Koch (1876–1934), F. H. Ernst Schneidler (1882–1953), E. R. Weiss (1875–1942), F. H. Ehmcke (1878–1965) and Georg Trump (1896–1985). There are some hand moulds. Christian Scheffler, ‘Klingspor Museum’, Fine Print, vol. 12, no. 2 (April 1986), pp. 110–11. This library has portfolios containing the Mori Collection of broadside type specimens, which were once believed to have been lost in the Second World War and only gradually came to light again, largely intact. A part of this collection, formerly the property of Ernst Justus Haeberlin (died 1925) and also known by his name, was described in a catalogue compiled by Gustav Mori, Schriftproben deutscher Schriftgiessereien und Buchdruckereien aus der Jahren 1479 bis 1840: ein Führer durch die Schriftproben-Ausstellung im Kunstgewerbe-Museum zu Frankfurt am Main (1926). Also known as ‘Letternservice Ingolstadt’. The foundry incorporates several firms which originated in Wagner & Schmidt, matrix makers, established in Leipzig in 1875. Johannes Wagner (1888–1965) transferred his foundry from Berlin to Ingolstadt in 1949. In 1971 it acquired a large part of the materials of C. E. Weber, Stuttgart. In 1978 the foundry took over the current production of H. Berthold, Berlin, casting types from ori­ginal matrices which are held in the foundry. The foundry is reported to have ceased casting type for sale: an account of its current status and that of its materials would be welcome. Einhundert Jahre Wagner-Schriften (Die Handsatzletter, Heft 8), Ingolstadt, November 1975. The type speci­mens which had accumulated at the Oxford University Press since its establishment, and which were kept in its Typographical Library, were trans­ferred to the Bod­leian Library in 1989. J. S. G. Simmons, ‘Specimens of printing types before 1850 in the Typographical Library at the University Press, Oxford’, Book collector, vol. 8 (1959), pp. 397–410. There are type specimens, chiefly British, with some early examples in the so-called ‘Bagford Collection’. Type specimens from the Patent Office were transferred to the British Library c. 1980. A. W. Pollard, ‘A rough list of the contents of the Bagford Collection’, Transactions of the Bibliographical Society, vol. 7 (1904), pp. 143–59. The India Office Library, integrated in the oriental collections of the British Library, has matrices for Modi and Bengali types, c. 1810, made for Sir Charles Wilkins (1749–1836). They appear to be of professional English workmanship, by two different hands. Types cast from them at the University Press, Oxford, in 1981 are now at St Bride Printing Library. Fiona Ross and Graham Shaw, ‘An unexpected legacy, and its contribution to early Indian typography’, Matrix, no. 7 (Winter 1987), pp. 69–79. The University acquired materials for typefounding in the early 17th century, but the establishment of the press and its typefoundry is due chiefly to John Fell (1625–86), Dean of Christ Church and Bishop of Oxford, for whom matrices were bought in Holland in 1670–72 and who established a resident punchcutter in Oxford (Peter de Walpergen). In addition to Walpergen’s punches and matrices, the earlier materials in the collection include matrices for types by Robert Granjon, Pierre Haultin and (possibly) Claude Garamont. The foundry fell into disuse in the early 18th century but was revived in 1853. Further matrices, chiefly for non-Latin types, were acquired from German sources in the later 19th century. The typefoundry was closed in early 1987, and the printing of books ceased in 1989. Some types of historic interest were transferred to the St Bride Printing Library. A small museum was opened in 1988 but closed shortly afterwards. Most of the type specimens in the Typographical Library, which had been catalogued by J. S. G. Simmons, were transferred to the Bodleian Library. Space for a new museum was created in 1992 in the substantial new buildings that were added to accommodate the publishing offices that were brought to Oxford from London. This museum, which is in the charge of the Archivist, includes a changing display of historic artefacts and provides storage for the archives of the Press, and of the punches, matrices, wood blocks, copper plates, and some types. There are no facilities for casting type. Horace Hart, Notes on a century of typography at the University Press, Oxford (Oxford, 1900; reprinted, with notes by Harry Carter, 1970). Stanley Morison, with the assistance of Harry Carter, John Fell, the University Press, and the ‘Fell’ types (Oxford, 1967). Established 1895. Since c. 1960 the library has built up collections of various printing artefacts, including materials for typefounding. Caslon. About 1050 boxes of punches acquired in 1936 by the Monotype Corporation at the liquidation of H. W. Caslon & Company Limited. The collection was deposited at the University Press, Oxford, in 1964 and transferred to the St Bride Printing Library in 1973. The punches are mostly of the 19th century, but there are some sets from the 17th, 18th and 20th centuries, including a runic attributed to Peter von Selow (early 17th century) and the machine-cut punches for Eric Gill’s Bunyan (1934). Among the punchcutters represented are William Caslon I and II (1692–1766 and 1720–78), Anthony Bessemer, Eugene Boileau, Isaac Drury, Hugh Hughes and J. Rochaix. There are loose-leaf files of records made by H. W. Caslon & Co., c. 1910–30. Also smoke-proofs, a card index and a typescript and manuscript catalogue compiled by Harry Carter in 1965, entitled ‘Alphabetical and chronological index to punches formerly belonging to H. W. Caslon & Co.’ 43 sets of these punches were distributed by the Monotype Corporation to printing schools in 1957–8; 10 of these have been recovered and restored to the collection. Figgins. Material from the foundry established by Vincent Figgins (1766–1844), which passed to Stevens, Shanks & Son Ltd; deposited 1968–73. 61 boxes of punches, chiefly 19th-century, in packets inscribed with dates of cutting and names of punchcutters (including Boileau, McAdam and Prince) comprising about 450 founts. About 320 sets of matrices dating from c. 1795 to c. 1900. There are MS. inventories compiled 1969–1986, and some business records. Chiswick Press. 57 sets of matrices and 14 sets of punches, including punches and matrices for two types made for the press, the ‘Caxton’ and ‘Basle’ types. There are MS. inventories, compiled c. 1870, c. 1900 and 1984. There are also 2,600 ornaments and decorative initials engraved on wood c. 1795–1876 (Album of proofs, compiled 1963). The collection was deposited with the library in 1962. There is a small collection of punches (11 sets), early 19th-century, supposedly from the Pavyer foundry. The library also has punches for a roman and a hebrew type cut by Harry Carter, together with other punches for special sorts cut by him on different occasions. About 300 founts of type, some of them associated with punches, matrices or type drawings in the collection. They include the Chiswick Press ‘Caxton’ and ‘Basle’ types, the Golden Cockerel Press 14-pt roman and italic, and many types transferred from the University Press, Oxford, including Etruscan, black-letter and hebrew cast by William Caslon, Baskerville’s Great Primer greek (1761), Proctor’s Otter greek, and the ‘Icelandic’ (Schwabacher) type bequeathed to the University Press by Francis Junius in 1677. 72 hand moulds, also furniture moulds and a ‘tumbler’ mould for casting large type, matrix striking press and jig, c. 1890, dressing bench and planes, sundry gauges and other tools, chiefly from Stevens, Shanks & Sons Ltd. Two Davis pivotal casters, with moulds. Drawings by Eric Gill for Gill Sans, the Golden Cockerel Press types, and some characters of Joanna, Aries and Jubilee; by Victor Lardent for Stanley Morison, c. 1931, relating to Morison’s work for The Times; by Reynolds Stone, for Minerva, 1952 (Linotype & Machinery Ltd); by Matthew Carter, preliminary designs for several types, c. 1976, including Galliard; original film ‘stencils’ for typefaces made by Letraset Ltd, London. About 10,000 items, dating from the early 17th century to the present day. Most of the earlier items were acquired with the libraries of William Blades (1824–90) and Talbot Baines Reed (1852–93). The Printing and Papermaking Collection has a representative collection of typefounding materials and casting and composing machines. It includes a collection of 372 punches presented by T. Bolas, 1900, hand moulds, ladles, Bannerman pivotal casting machine with matrices, Grant and Legros style punchcutting machine (Williams Engineering Co), Linotype and Monotype machines (including early models), Typograph composing machine, and Wicks rotary type casting machine, with matrices. The museum has a collection of punches and matrices made by John Jones, a printer of Llanrwst, North Wales, in about 1809–15. These were on exhibition for some years and then tranferred to the Welsh Folk Museum, St Fagans. They were returned to the stores of the Science Museum in January 1996. Ellic Howe, ‘The printer and the museum’, Penrose annual, vol. 40 (1938), pp. 80–3. Gerald Morgan, Y dyn a wnaeth argraff: bywyd a gwaith yr argraffydd hynod John Jones, Llanrwst (Llanrwst, 1982). Ceased making type in 1997 and ceased trading in December 2004. Typefounders, established as Blake, Garnett & Co, 1818. Acquired the foundry of William Caslon IV (1818), Sir Charles Reed & Sons (1906), and materials from H. W. Caslon & Co Ltd, including some punches by William Caslon I (1936), and Miller & Richard (1952). Sir Charles Reed & Sons were the last owners of the Fann Street Foundry, which comprised the materials of Robert Thorne, and his successors William Thorowgood and Robert Besley. Through the purchase of the materials of Edmund Fry (1828), it had acquired punches and matrices bought at the sale in 1782 of the foundry of John James (died 1772), including materials of English typefounders of the 17th and early 18th centuries. See Edward Rowe Mores, A dissertation upon English typographical founders and founderies, 1778, with a catalogue and specimen of the typefoundry of John James (1782); edited, with an introduction and notes, by Harry Carter and Christopher Ricks (London, 1961). Much of this early material appears to survive. The materials of the foundry were acquired by the Type Museum, London, in 1997 with the help of a grant from the National Heritage Memorial Fund, and a catalogue was being compiled as a database by Justin Howes during 2003–5. A history of Stephenson, Blake & Co. was written by the economic historian Sidney Pollard. A few copies were printed in about 1960 but not published: there are copies at the St Bride Library and the Type Museum. Roy Millington, Stephenson Blake: the last of the old English typefounders (New Castle: Oak Knoll Press, and London: British Library, 2002). A body called the Merrion Monotype Trust was originally formed by Susan Shaw in order to preserve the punches, matrix-stock, patterns and matrix-making capacity of the Monotype Corporation, Salfords, Surrey. A buil­ding was acquired in South London and named ‘The Type Museum’. The Monotype materials were transferred there in 1996. The materials of Delittle, wood type makers in York, and of Stephenson, Blake & Co. Ltd., typefounders, Sheffield, and their archives and type specimens, were acquired in 1997 with the aid of a grant from the National Heritage Memorial Fund. The long-term objective is the creation of a working museum demonstrating all the processes employed for making printing type. The museum has been closed to visitors since May 2006. The library has the type specimens of the Broxbourne Library (the collection of Albert Ehrman), and the minutes of the London Society of Master Letter Founders, 1793–1820, from the same source. Typographical materials were transferred from the University Printing House, where a collection of punches and matrices made for private or notable presses had been assembled. These include the following items. Punches cut by Edward Prince for the Kelmscott, Ashendene and Cranach Presses, and their matrices. Punches for Perpetua cut for Stanley Morison by Charles Malin, Paris, from designs by Eric Gill; matrices by H. W. Caslon & Co. for Gill’s Golden Cockerel and Joanna types and the punches for Aries. Seven punches cut by P. H. Rädisch under the direction of Jan van Krimpen as a guide to Monotype in cutting Van Dijck, 1934, and punches for 12-point figures to work with Monotype Van Dijck cut by Matthew Carter for Rowley Atterbury (Wester­ham Press) and subsequently adopted by Monotype. Punches made for John Baskerville were presented to the University Press by Deberny & Peignot, Paris, in 1953. There are founts of the Golden (Kelmscott Press) and Brook (Eragny Press) types in case, and a collection of types formerly used at the University Press, including the facsimile type cut by Joseph Jackson for printing the Codex Bezae (1793) and the ‘Scriptorial’ type of Ichabod Dawks. The collection includes some music types cast from old matrices for H. Edmund Poole. Among manuscript materials are Cranach Press papers, including letters and type drawings by Edward Johnston (complementary photocopies of items at Newberry Library, Chicago), and Emery Walker’s correspondence with Robert Proctor relating to his Greek type. There is a Monotype keyboard and caster (not presently operated) and a small teaching collection which includes a hand mould. Alan M. Fern, ‘Typographical specimen books: a check-list of the Broxbourne Collection’, Book Collector, vol. 5 (1956), pp. 256–72. T. Balston, The Cambridge University Press collection of private press types (Cambridge, 1951). The library has the surviving typographical materials of the Typographia Medicea, the oriental-language missionary press established in Rome in 1584 by Cardinal Ferdinando de’ Medici. The punches, having been brought to Tuscany in the 17th century, were seized in 1811 by order of Napoleon and taken to Paris where matrices were struck from them (see Imprimerie Nationale, Paris). On its return to Florence in 1816 the collection was placed in the Laurenziana library. The collection is now housed in 39 wooden boxes bearing labels that were apparently printed during their period in Paris. They contain some 5,345 punches. The scripts include Greek, Arabic, Syriac, Coptic and Armenian. Some of them can be attributed to Robert Granjon, whose work for the press is recorded in its papers, now in the Archivio di Stato, Florence. There is also a substantial amount of type in case, mostly Arabic and Syriac, apparently cast during the first half of the 19th century. G. E. Saltini, ‘Della Stamperia Orientale Medicea e Giovan Battista Raimondi’, Giornale Storico degli archivi toscani, vol. 4 (1860), pp. 257–308. H. D. L. Vervliet, Cyrillic and oriental typography in Rome at the end of the 16th century (Berkeley, 1981), revised translation of ‘Robert Granjon à Rome’, Bull. de l’Inst. hist. belge à Rome, vol. 38 (1967), pp. 177–231. The materials of the typefoundry of G. B. Bodoni (1740–1813) were acquired by the government of the state of Parma in 1843. A contemporary inventory lists 25,491 punches, 50,283 matrices and 147 moulds. The collection escaped damage during the Second World War save for the loss of some of the original cupboards made for it. 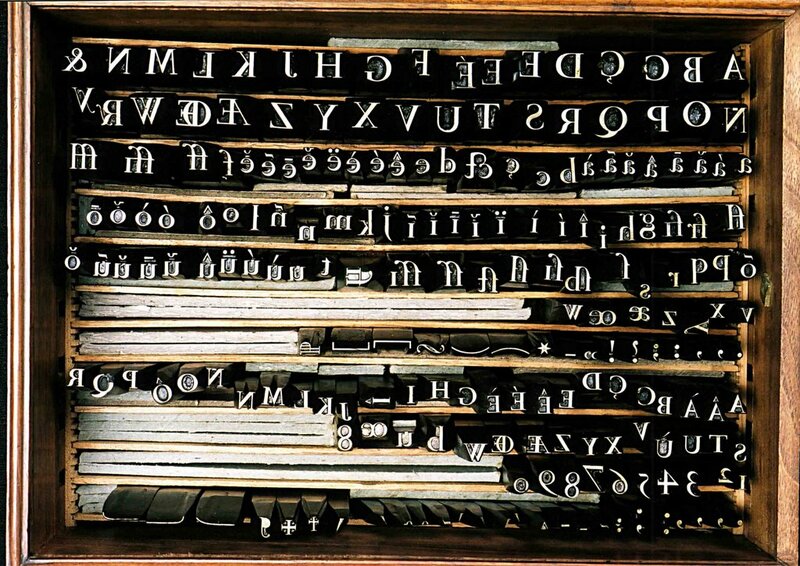 Some punches, matrices and moulds are displayed in the Museo Bodoniano, opened in 1963, which was created in order to house Bodoni’s materials and to provide a permanent exhibition of his printed work. Some listing and ordering of the typographical materials was begun by Afro Soncini in the early 1960s, and continued by Prof. Valerio Pavarani. Robert F. Lane, ‘The Bodoni punches, matrices and molds at Parma’, Printing and graphic arts, vol. 5, no. 4 (December 1957), pp. 61–9. Catalogo del Museo Bodoniano di Parma (Parma, 1968, reprinted 1986), text by Angelo Ciavarella. A collection of artefacts was assembled by a maker of printing machinery, Ernesto Saroglia (died 1989), with the intention of establishing a comprehensive museum of printing, and a former convent and hospital has been provided as premises by the comune of Rivoli, near Turin. The museum was presented to the press in September 1990, but was subsequently closed and the materials are dispersed. Among the typefounding materials were the punches for the occhio di mosca (3 point) type cut by Cesare Antonio Farina (1790–1873). Giovanni Mardersteig (1892–1977) established the Officina Bodoni at Montagnola di Lugano in 1922, moving it in 1927 to Verona. Initially he made use of types newly cast from the Bodoni matrices kept at Parma, and some relics of these founts still survive. Three roman types (Zeno, Griffo, Dante) and a titling (Pacioli) were later cut for the press by Charles Malin, Paris. Punches, matrices and founts of these types, with the other material of the Officina Bodoni, are at the Mardersteig family house in Verona where the press is located. Giovanni Mardersteig, The Officina Bodoni, an account of the work of a hand press, 1923–1977, ed. and trans. by Hans Schmoller (Verona, London, 1980). John Dreyfus, ‘Il creatore di caratteri da stampa’, in Giovanni Mardersteig, stampatore, editore, umanista (Verona, 1989), pp. 49–96. Original English text in: John Dreyfus, Into print (London, 1994), pp. 139–89. ‘Inventario de madri, ponsoni de caratteri, fregi a figure diuerse in rame ... poste nel Collegio Vrbano de Propaganda Fide’, 2 October 1676. (Arch. Stamperia I, ff. 468–72.). In 1938 Alberto Tallone (1898–1968) acquired the materials of Maurice Darantière, from whom he had learned printing, and transferred them to Paris where he continued to print books on a hand press. In 1949–50 he commissioned Charles Malin to cut a new type from his designs. The press was transferred to Alpignano, near Turin, in 1960, where it is still continued by members of the Tallone family. The printing office has extensive founts of Caslon type (cast in Paris), Garamont (Deberny & Peignot), Janson, and the Tallone types, of which the punches and matrices are preserved. There are also some matrices (late 19th and early 20th century) from the former Nebiolo typefoundry, Turin. John Dreyfus, ‘Alberto Tallone and his new type’, Signature, new series no. 16 (1952), pp. 46–7. Maurizio Pallante, I Tallone (Milan, 1989). The Stamperia Vaticana was established in 1587 by an act of Pope Sixtus V but lost its separate identity when it was merged with the printing office of the Reverenda Camera Apostolica in 1610. A type specimen book was issued in 1628. The Sacra Congregatio de Propaganda Fide established a foreign-language printing office in 1626 which became the most prominent Catholic rival to the Protestant missionary presses. Both institutions had changes of location and periods of greater and less activity during the 18th and 19th centuries. The two institutions were united in 1909 to form the Tipografia Poliglotta Vaticana. An inventory of their combined typographical materials drawn up in 1911 lists 6,270 punches and 31,187 matrices. The typefounding materials now consist of punches and matrices contained in a typothèque of oak supplied by Foucher, Paris, and also a box of moulds (for type and furniture) and dressing planes. These are currently in storage in Trastevere. There was at one time a hope that that they might eventually be displayed in a small museum with­in the Vatican printing office, which has undergone extensive reconstruction. Catalogo dei punzoni e delle matrici orientali e latini esistenti nella Tipografia Poliglotta Vaticana (1911). Printed inventory of punches and matrices, with smoke proofs of punches. 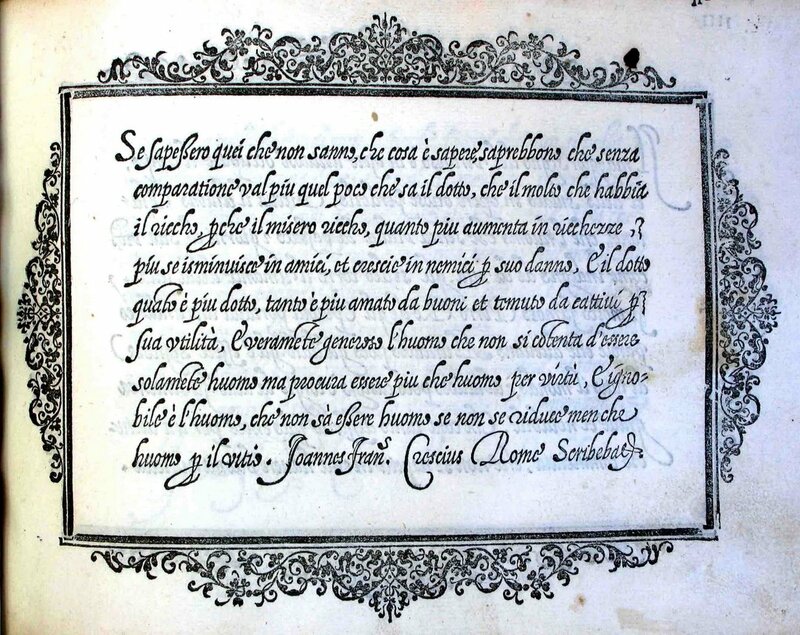 The original document is located in the offices of the Tipografia Poliglotta Vaticana. There is a photocopy at St Bride Library. The type specimen of the Vatican Press, 1628: a facsimile with an introduction and notes by H. D. L. Vervliet (Amsterdam, 1967). Established in about 2000. A well-equipped and actively developing collection of printing materials and historic hand presses and printing machines, with a library and an educational programme. It houses the archive of the type designer Aldo Novarese. Also known as the Museum van het Boek. Its collections include drawings by Jan van Krimpen for his Romulus type. The printing firm of Joh. Enschedé en Zonen, established in 1703, began typefounding when it purchased the stock of Hendrik Floris Wetstein in 1743, and it continued Wetstein’s patronage of the German punchcutter J. M. Fleischman. With the purchase of part of the stock of Jan Roman, Amsterdam, successor to Christoffel van Dijck, the foundry added much early material, including include matrices for the textura gothic of Henric Lettersnider, c. 1490, some of the oldest known surviving Western typographical materials; also matrices for types by Granjon and Tavernier, and some from the foundry of Willem Janszoon Blaeu which may be attributed to Nicolas Briot. In 1769 the foundry of Willem Cupy, Amsterdam, possessing an extensive collection of Hebrew types, was acquired. About half the early materials, including most of the work of Christoffel van Dijck, were destroyed in 1808. The purchase of the Fonderie Normale, Brussels in 1850 added materials for types made for Pierre and Jules Didot between about 1820 and 1830. There is also an extensive collection of German Fraktur, Schwabacher and current-script types. Some oriental types were made for the firm in the 19th century, and in the 20th century the foundry made types to the designs of Jan van Krimpen using the services of their resident punchcutter, P. H. Rädisch. Specimen des caractères de la Fonderie Normale de Bruxelles provenant de la fonderie de Jules Didot et de son frère Pierre Didot (1914). Specimen des caractères de la fonderie de N. P. Gando à Paris et de son fils Th. S. Gando à Bruxelles (1917). Die hochdeutschen Schriften aus dem 15ten bis zum 19ten Jahrhundert (1919). The archives of the firm, which include a substantial collection of early type specimens (about 100 examples dated before 1800), are an important source for the history of typefounding in the Netherlands. The materials of the foundry and its archives, together with much other historical material relating to the firm’s other activities such as security printing, constitute the ‘Stichting Museum Enschedé’ which is now housed in premises to which the firm moved in about 1990. De Lettergieterij van Joh. Enschedé en Zonen: gedenkschrift te gelegenheid van haar honderdvijftig-jarig bestaan (Haarlem, 1893). Catalogus van de typographische verzameling van Joh. Enschedé en Zonen (Haarlem, 1916). The Enschedé type specimens of 1768 and 1773: a facsimile with an introduction and notes by John A. Lane (Haarlem, 1993). This firm formerly operated the Tetterode or ‘Amsterdam’ typefoundry. Among early materials in its possession are 90 sets of Hebrew matrices and strikes and 12 sets of punches, many of which are for types used by Joseph and Emanuel Athias in the late 17th and early 18th centuries. One set of punches and matrices from this collection is at the Jewish Historical Museum, Amsterdam. The library of type specimens and some matrices were acquired by the University Library, Amsterdam. Many of the matrices and some machines are in storage in the northern Netherlands, and there was an intention on the part of a cooperative group to begin the casting of type at some unspecified date. The library has the type specimens of the (now Royal) Book Trade Association (Koninklijke Vereeniging ter Bevordering van de Belangen des Boekhandels). The library of type specimens and some working drawings and documentation files of the ‘Amsterdam’ (Tetterode) typefoundry were acquired by this library in 1971. There are also type drawings by and correspondence of Jan van Krimpen. John A Lane and Mathieu Lommen, Dutch type specimens from the library of the KVB and other collections in the Amsterdam University Library, with histories of the firms represented (Amsterdam, KVB: Koninklijke Vereeniging ter bervordering van de belangen des Boekhandels te Amsterdam, 1998). Has a collection including 35 early type specimens (press mark 744D.19), acquired from Prosper Marchand (1678–1756). Fundición Tipográfica Neufville was established by Jacob de Neufville in 1885, and became the Spanish branch of the Bauer foundry, Frankfurt am Main, being managed by members of the Hartmann family. In 1972 it acquired much of the material of the Bauer foundry in Frankfurt, and also materials from the following foundries: Fundición Tipo­gráfica Nacional (1972), Fonderie Typographique Fran­çaise (1974), Ludwig & Mayer (1985), Fon­deries Typographiques Réunies, Fon­derie Dib, Lebanon (1987). Fundición Tipo­gráfica Neufville was dissolved and the present Fundición Tipográfica Bauer continues to cast its types at Calle Selva de Mar, 50. Some matrices were transferred to the Departament de Disseny i Imatge, University of Barcelona. ‘100 years of Fundición Tipográfica Neufville’, Export Polygraph International, vol. 33, no.3 (June 1985), pp.16–17. Formerly known as the Museo del Grabado, Pueblo Español. The museum has punches and matrices from the collections of the Imprenta Real, Madrid, including punches cut by Jerónimo Gil and matrices from Firmin Didot and Giambattista Bodoni. The materials of the Imprenta Real passed to the Calcografía Nacional, and in 1930 the typographical materials were handed on to the Escuela Nacional de Artes Gráficas. At the request of Enric Tormo, director of the Museu del Llibre, these were sent to Barcelona, where they were sorted and catalogued. There are specimens, catalogues, etc. The museum is currently closed and inaccessible. Noticia del Museu del Llibre (Barcelona, 1980). The Royal Library has the collection of its former director Peter Sohm (1750–1819), which includes type specimens and other typographical literature acquired from the Leipzig printer and typefounder J. G. I. Breitkopf. Musaeum typographicum Sohmianum, 2nd ed. (Stock­holm, 1815). The Nordiska Museet has the materials of the Norstedt foundry, including 20,000 matrices made between about 1500 and 1800, chiefly imported from Germany. Among the punchcutters represented are François Guyot, Robert Granjon, Ameet Tavernier, J. P. Artopaeus, Pancratz Lobinger, J. K. Müller and Christian Zinck. The typefounding materials are not on display. About 1980 they were moved from the Tyresö Castle outside Stockholm to a closed storage area for the museum’s collections at the manor Julita Gård, which belongs to the Nordiska Museet, about 150 km SW from Stockholm. Christian Axel-Nilsson, Type studies: the Norstedt collection of matrices in the typefoundry of the Royal Printing Office, a history and catalogue (Stockholm, 1983). Includes at pp. 169ff an ‘Inventory of the stock of matrices of the Norstedt typefoundry’ transcribed from a list made c. 1900 and listing 100,000 matrices. A museum which opened in 1980. It is chiefly concerned with papermaking, but there is a display of punches, matrices, tools and machines from the Haas typefoundry (now Fruttiger). There is a collection of 19th-century punches and of wood-blocks kept as patterns for polytyping from the collection of Deberny & Peignot. A typefoundry established by Johann Wilhelm Haas in 1740. Most of the early materials, including those of the Pistorius foundry which it absorbed in 1770, were destroyed in the 1890s. It acquired materials of Deberny & Peignot, Paris (1975) and Fonderie Olive, Marseille (1978). The former chief of the foundry, Walter Fruttiger, acquired its premises and stock. Type is cast from its matrices at the Haus für Industriekultur, Darmstadt. Gustaf Adolf Wanner, ‘400 Jahre Haas’sche Schriftgiesserei’, Gutenberg Jahrbuch 1979, Beilage, pp. XVI, between pp. 324–5. The company was originally formed in 1892 from an amalgamation of 23 typefoundries under the threat of competition from the new Linotype machine. In 1970 about 6000 sets of ‘obsolete’ matrices for the older types and some drawings were given to the Smithsonian Institution, Washington, DC. In 1993 a further 1400 sets of matrices were transferred to the Smithsonian Institution by the division known as ATF-Davidson. Elizabeth Harris, ‘ATF and the Smithsonian Institution’, Type & press, no. 78 (Fall 1993). American Typecasting Fellowship newsletter, no. 18 (June 1994). Gregory Jackson Walters, The auction of the century [Piqua, Ohio, 1994]. Theo Rehak, The fall of ATF. Dale Guild Type Foundry (4621 Route 9, North Howell, New Jersey 07731), 2004. Among the materials belonging to the Printing Office of this reconstructed 18th-century town are five hand moulds, apparently of the early 19th century (one has the date ‘June 1831’ inscribed on the jet), and a set of eight justifiers’ moulds ranging in size from about Bourgeois to French Canon. There are three 18th-century punches from the Caslon foundry. Eighteenth-century type has been found in excavations near the various former printing offices of the town. The library of the American Type Founders Company which had been assembled by H. L. Bullen was deposited at Columbia University and formally acquired by the University Library in 1941. There is a major collection of type specimens, also 85 sets of punches dating from 1832 to 1890. John Peters and Peter M. VanWingen, The type punches at Columbia University: an inventory (New York, 1974). The history of printing from its beginnings to 1930: the subject catalog of the American Type Founders library in the Columbia University Libraries (Millwood, New York, 1980). Among the typographical materials are the type specimen collections of Philip Hofer and William Bentinck Smith. The Iowa Center for the Book has a collection of equipment for matrix making and other typefounding materials owned by R. Hunter Middleton (died 1985). The papers of C. H. Griffith (1879–1956), Vice-President in charge of typographical development at Mergenthaler Linotype Company to 1950, include type specimens, notes relating to type designs and correspondence with designers (extensive correspondence with W. A. Dwiggins). The Hammer collection has the typographical materials of Victor Hammer (1882–1967), comprising designs for type, punches, matrices and type in case. 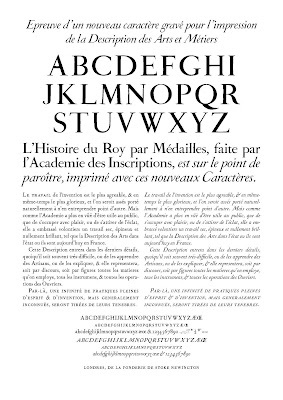 The Society has thirty matrices of a titling letter from the typefoundry of Claude Mozet, c. 1740, which is all that survives of the materials for typefounding acquired in Paris by Benjamin Franklin and used in the foundry of his grandson Benjamin Franklin Bache (died 1798) in Philadelphia. They were presented to the Society in 1838. Rollo G. Silver, Typefounding in America 1787–1825 (Charlottesville, 1965), pp. 37–8. The Division of Graphic Arts has a collection of typefounding tools and equipment, and typefounding and composing machines. Public demonstrations of typefounding are given in a reconstructed foundry. In 1970 the museum was given 6,000 sets of ‘obsolete’ matrices for 500 type families and a quantity of type drawings from the American Type Founders Company. 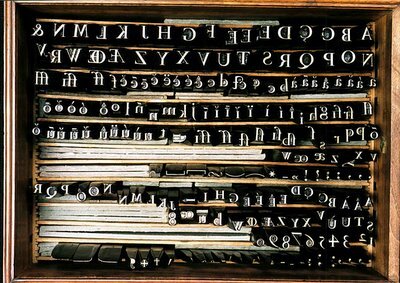 The ‘Morgan Press Type Fount Collection’ purchased in 1981 comprises 4,500 founts of metal type and about 450 of wood type, largely American and dating from the 19th or early 20th centuries, collected by Willard D. Morgan, New York. There is a small collection of punches, matrices, moulds and punchcutters’ tools given by Dard Hunter. A comprehensive specimen set of Linotype matrices, deposited with the Rochester Institute of Technology by the Mergenthaler Linotype Company, c. 1970, was transferred here. The museum’s section on printing and related technology has been downgraded and its specialist staff are retired. Much of the material in storage is currently (2005) inaccessible until asbestos has been cleared from the buildings. Elizabeth Harris, The fat and the lean: American wood type in the 19th century (Washington, D.C., National Museum of American History, 1983). Elizabeth Harris, ‘Typographic collections at the Smithsonian’, Matrix, no. 8 (1988), pp. 81–8. Elizabeth Harris, ‘ATF and the Smithsonian Institution’, Type & press, no. 78 (Fall 1993), pp. [1–2]. The Wing Collection has designs for the types of the Doves Press, drawings by Bruce Rogers for Centaur, by Frederic Warde for Arrighi, correspondence and drawings relating to Cranach Press types and some papers of R. Hunter Middleton (died 1985), type director of Ludlow Inc., with his drawings for Eusebius. There is a collection of type specimens. Has the library of D. B. Updike, including his type specimens. These were listed in a set of unpublished galley proofs with the heading: ‘Rough list of printers’ specimens belonging to D. B. Updike’, 1939. The collection also includes punches and matrices of two types made for Updike, Montallegro and Merrymount. The Melbert B. Cary Graphic Arts Collection in the School of Printing has matrices for Rogers’s Centaur Titling (12, 20, 24, 30 and 48pt), the punches and matrices of the Arrighi type made for Frederic Warde (punchcutter: Charles Plumet, Paris), punches, matrices and unjustified strikes of the type of the Spiral Press, cut by Louis Hoell (died 1936) for Joseph Blumenthal, also an album of ‘Proof sheets of the Spiral Press type in preparation’. There are drawings by M. F. Benton for ATF Bodoni and by Frederic Goudy for (US) Monotype Garamond (series 248). Hand moulds: 2 English-style, probably 19th-century; 1 probably German, modern, about 20pt; and a justifier’s mould, modern, about 16pt. Also at RIT, not part of the Cary Collection, are sets of matrices for Goudy types, chiefly cut for him by Robert Wiebking, Chicago, together with type patterns, and some Goudy types in case. For an account of the materials of the Arrighi type see H. Johnson, ‘Notes on Frederic Warde and the true story of his Arrighi type’, Fine print, vol. 12, no. 3 (July 1986), pp. 158ff; to which there is a ‘Rejoinder and extension’ by John Dreyfus in Fine print, vol. 13, no. 2 (April 1987), pp. 69–72, 105. On this type see also Nicolas Barker, The printer and the poet (Cambridge, privately printed, 1970). The University Library has tools, drawings, punches, matrices and a German hand mould formerly in the possession of Warren Chappell (died 1991), a professional calligrapher, illustrator and type designer who had learned punchcutting and worked for a time in the Koch workshop in Offenbach am Main. The University of Virginia is the home of the Book Arts Press of the Rare Book School, which moved from Columbia University, New York, in 1992. There is a teach­ing collection which includes representative examples of punches and matrices and a hand mould made by Stan Nelson which is used for demonstrations. The collection includes a small quantity of old type on a Long Primer body, certainly no later than the 18th century and possibly earlier, bought in the Netherlands. An exhibition at the Musée de l'Imprimerie in Lyon in 2002 marked the tercentenary of the publication of the Médailles sur les principaux événements du règne de Louis le Grand, which was the first use of the type known as le romain du roi. Work has continued in search of more documents relating to the background to the making of this book, and it is intended that a fuller account will be published in the Bulletin du bibliophile. [Additional note: it was published in Bulletin du bibliophile, 2008, no. 2, pp. 296–348.] No accounts have been found for the printing of the first editions, folio and quarto, in 1702. However the following document relating to the printing of the folio edition of 1723, of which the specification was very similar to the folio edition of 1702, was found in the Archives nationales, Paris, and published by J.-J. Guiffrey in 1885. I'm not sure if it will be possible to reprint all of it [it was], so it seemed worth placing here. 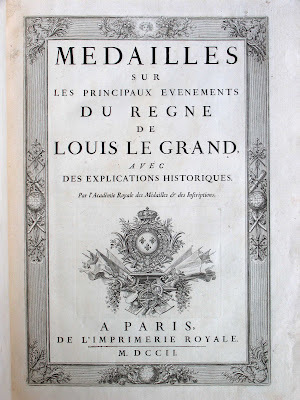 Mémoire d’avances faites par Rigaud, directeur de l’Imprimerie Royale, pour la nouvelle Impression des Médailles sur les principaux Evénements du règne entier de Louis le Grand, avec des explications historiques, in-folio, imprimé en l’année 1723, par ordre de Monseigneur le duc d’Antin. Pour 138 rames 11 mains de papier au grand raisin fin double d’Auvergne, fabriqué exprès, pour quatre cents exemplaires de l’Histoire du Roy, contenant 318 médailles, 3 feuilles de tables et une feuille pour le titre et l’estampe du frontispiece, faisant en tout 163 feuilles, y compris une main sur chaque feuille ajoutée pour remplacer les feuilles qui se trouveraient défectueuses, à raison de 35 fr. la rame, suivant marché fait d’avance avec le papetier. Impression en taille-douce à 400 exemplaires de 318 médailles, chaque feuillet contenant une bordure, la tête, le revers et le cul-de-lampe, à raison de 6 l. pour chaque cent de feuillets de médailles, ce qui fait 24 l. pour chaque feuillet et pour les 400 exemplaires. L’impression en taille-douce des six feuillets de table dont les bordures en cuivre sont redoublées au verso de chaque feuillet, ce qui fait 200 bordures par chaque cent de feuillets de table et 4,800 bordures pour lesdits six feuillets, à raison de 6 l. le cent. Impression en taille-douce de 400 bordures avec le fleuron aux armes du Roy, pour la feuille du titre, à raison de 6 l. le cent. Impression en taille-douce de 400 exemplaires de l’estampe du frontispice, à raison de 12 l. le cent. Impression en caractères d’imprimerie des 318 discours qui expliquent le sujet de chaque médaille, composés chacun deux fois: la première, pour constater la quantité de lignes qui devaient entrer dans les bordures et la grandeur du cul-de-lampe et pour arrester les corrections; la seconde, pour imprimer à demeure les discours audessous de chaque médaille en taille-douce, en caractères neufs fondus exprès, à raison de 12 l. pour tous frais pour chaque feuillet. Impression de la table et du titre, à raison de 24 l. pour le feuillet de table et de 12 l. pour le titre. Impression en taille-douce et en caractères d’imprimerie, et papier de 400 exemplaires de chacun de deux feuillets de médailles réimprimez et tirez en taille-douce depuis l’impression finie de ladite histoire métallique du Roy, par rapport à des corrections qu’il a fallu faire, conformément aux prix marquez cy-dessus. Pour cent exemplaires de ladite histoire métallique que Rigaud avait fait imprimer avec la permission de Monseigneur pour son compte particulier, lequels Monseigneur a depuis ordonné qu’ils luy fussent remis, ce qui a fait pour lesdits cent exemplaires, le quart de la somme cy-dessus. Sur quoi il a été payé 13,000 l.
A Paris, le 31 juillet 1723. J.-J. Guiffrey, ‘La monnaie des médailles: histoire métallique de Louis XIV et de Louis XV, d’après les documents inédits des Archives nationales’, Revue numismatique (1885), pp. 432–60 (at pp. 443–5). No reference to the location (cote) of the document in the Archives Nationales is given. If anyone knows it, the information will be welcome.